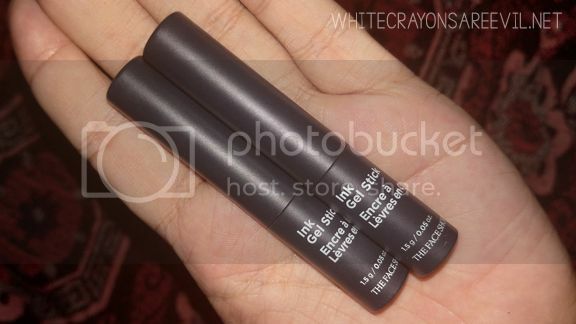 However, when I went to The Face Shop Robinsons Magnolia last weekend, they were having a buy 1 take 1 promo on their Ink Gel Stick, which I was told by the SA was a cheek and lip tint. So might as well, right? New and improved lipstick with smooth, instant color and a glide-on texture. Glowing color with the look of bold, vivid ink. The clear, super-saturated coloor stays true, just like ink. Ink sliding texture. The next generation lipstick features a super sleak texture and glides on smoothly upon contact. Curious. Nowhere in the box did it say ‘cheek and lip tint’, tho. Since it was on sale, I got two shades for P695. 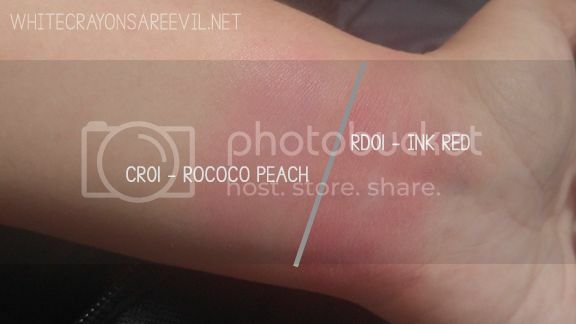 I got Rococo Peach (CR01) and Ink Red (RD01). These lippiebabies are super small – only weighs 1.5 g or 0.05oz a tube. I chose two polarizing colors because reasons. 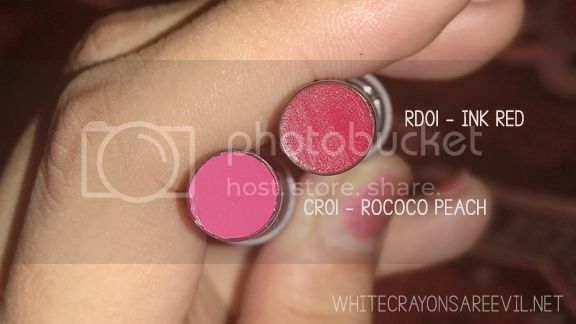 Ink Red is a vibrant true red in the tube while Rococo Peach is supposed to be coral (‘CR’), but is really pink IRL. They have a wide range of colors, so they have that going for them which is nice. I wondered how they would look when tried as blush, so I blended the above swatches with my finger. And this is how it look on my fez. Was it worth P695 a piece? No. Was it worth P695 for two pieces? Also no. Maybe I am not the target audience of this product. 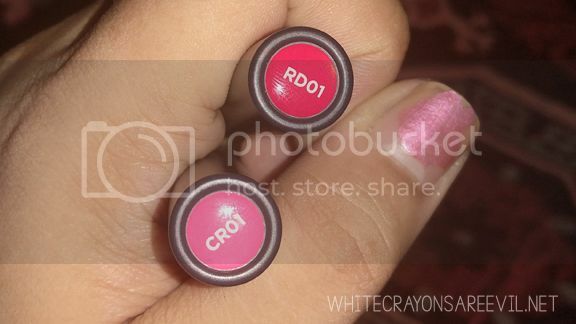 I love my lippies very vibrant and long lasting, and the Ink Gel Stick fell short on both. Just look at the swatches on my lips. 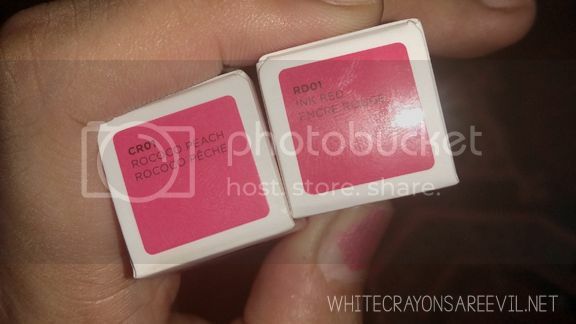 I just looked like I was wearing Carmex or something in the Rococo Peach. Red Ink’s a little more pigmented, but disappears after an hour or so. 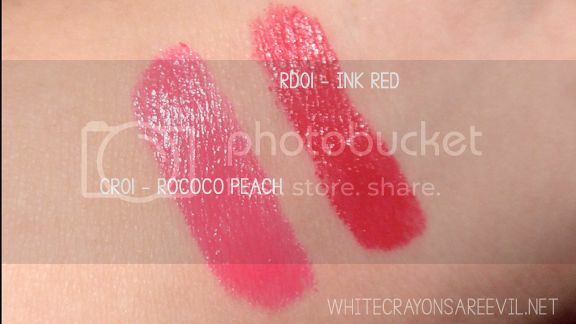 Pigment is super glossy, so those of you who prefer glosses over lipstick will adore these. These are also very moisturizing. I just really don’t like the idea of looking bare with minimal lip color. I think that’s a matter of preference na lang. But for P695 a piece? Nope. I know I can find better, also moisturizing liptints with much lower price. I’m sorry TFS. Still love you, though. Edit: I am currently using these as cream brush and they are DOPE AF! Probably my current favorite blush at the moment. They stay put for HOURS, and they are easy to blend. Do you want me to feature a particular lippie here on Lippie Tuesday? Leave your suggestions at the comment box below. Please do check out my other Lippie Tuesday here. Anika, I love your blog’s name. I feel the same.